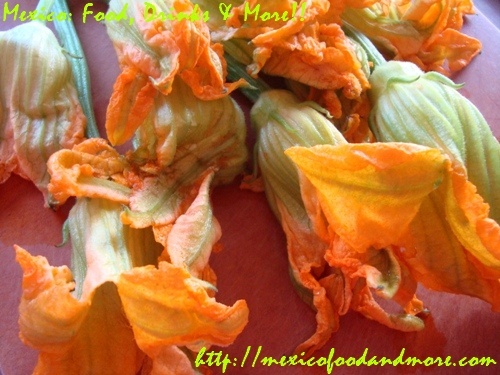 Mexican cuisine includes the use of the delicate flor de calabaza (also known as squash blossoms or pumpkin flowers). 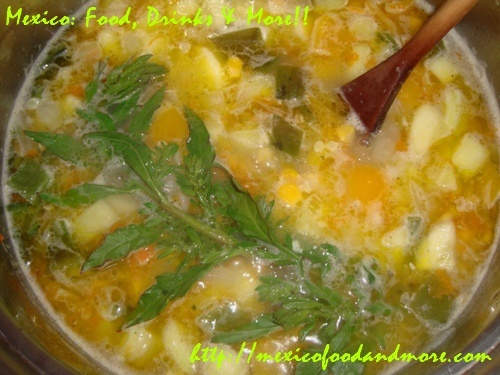 These flowers are used in a variety of ways, such as in quesadillas, empanadas, and soups. 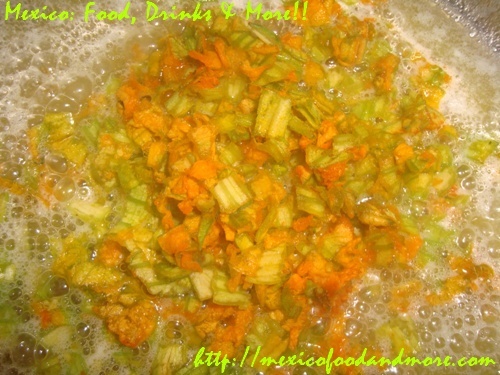 In addition to flor de calabaza, epazote is another native plant which is an integral part of Mexican cuisine. 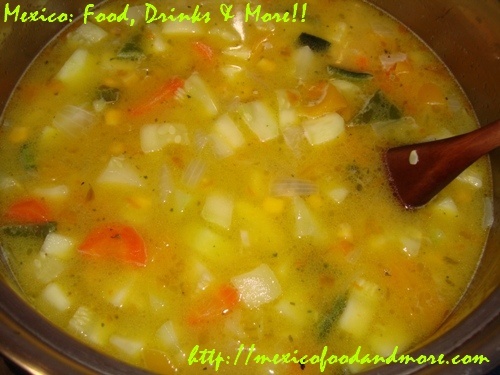 You’ll find its use in many dishes, the most common being black beans and soups. You’ll need a sprig of epazote for this recipe. 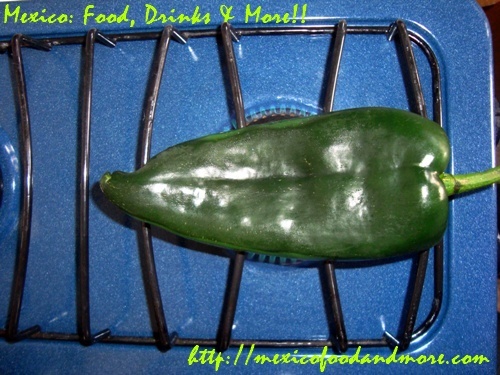 Place the poblano chile pepper over the flame on the stovetop. 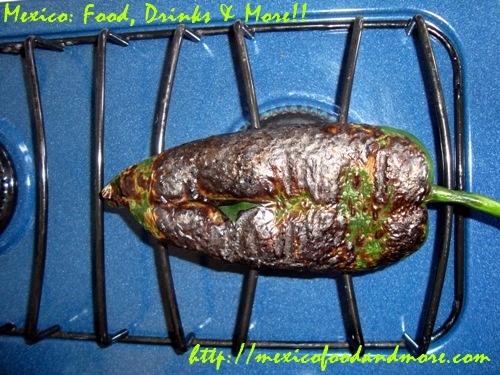 Place the roasted poblano in a Ziploc (plastic) bag, seal it, and allow the chile to cool. Chop the squash flower blossoms. You should end up with about 2 cups. Melt the butter in a heavy-bottomed pot set over medium-low heat. Add the chopped flowers. Sauté until softened, about 2 to 3 minutes. Season with a little salt if desired. 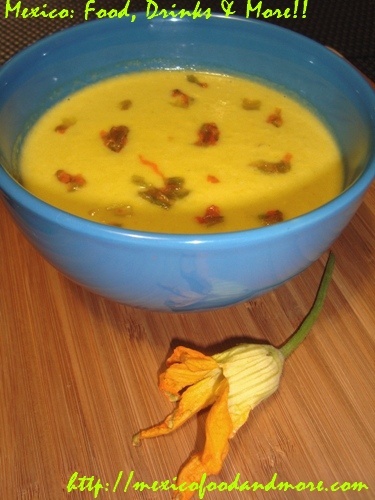 Transfer half of the sautéed flowers to a small bowl and set aside to garnish the soup at the end. 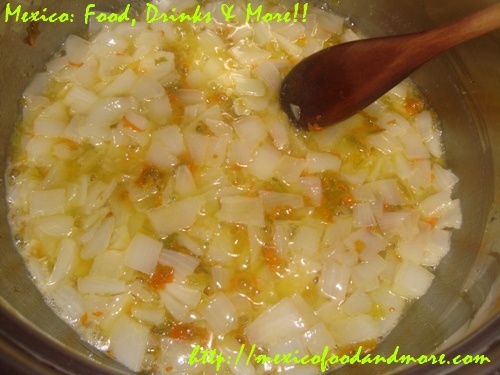 Add the chopped onion and cook until tender and translucent, about 5 minutes. 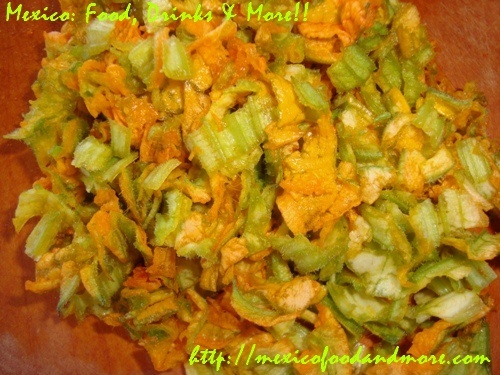 Add the garlic, yellow bell pepper, carrot, and zucchini. 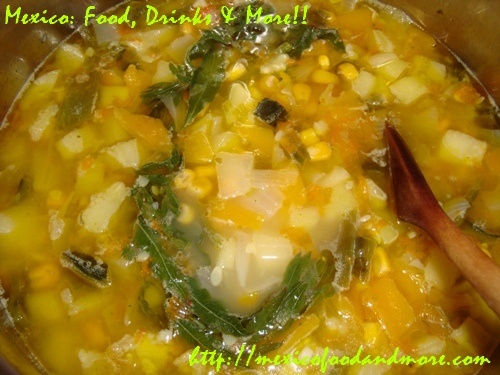 If using fresh corn kernels, add it at this point, but if you’re using canned corn, don’t add it yet. Cover and cook until tender, 10 to 15 minutes. 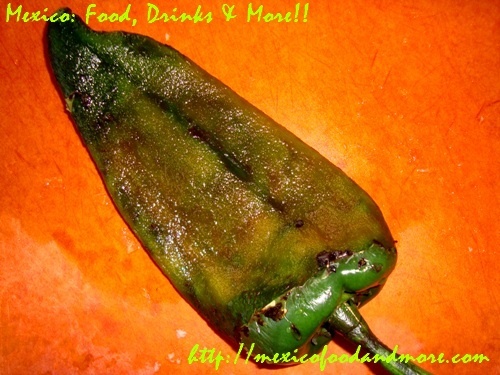 While this is cooking, remove the poblano chile from the plastic bag. Peeling off the blackened skin should be easy now. 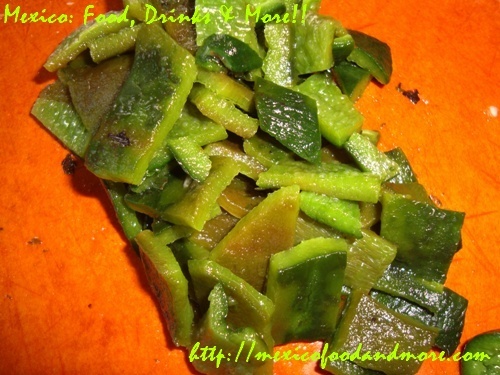 Remove the stem and seeds, then chop the poblano. Check the sautéed vegetables. They should be tender and simmering in their juices. Add the chicken broth and poblano. 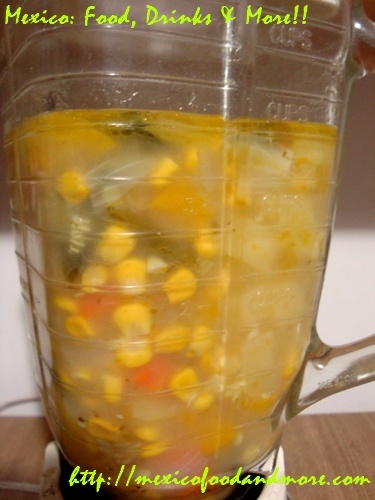 If using canned corn kernels, add them now also. Bring to a boil. 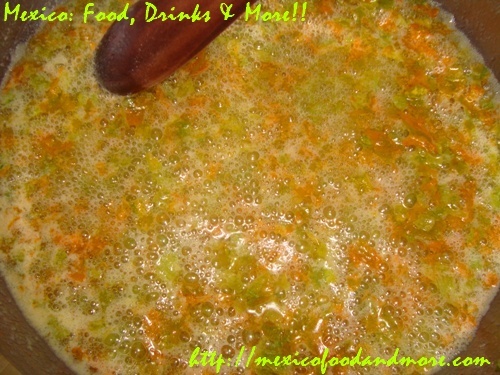 Add the epazote, reduce heat to low, cover, and simmer 10 to 15 minutes. 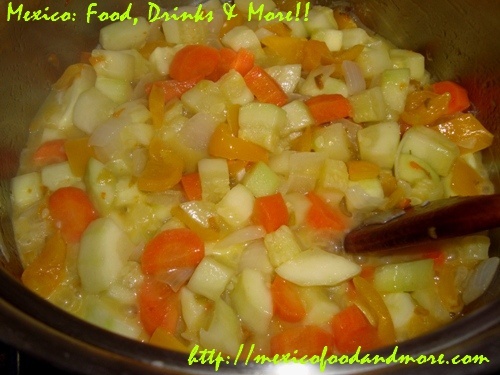 Turn off the stove and allow the soup to cool before blending. 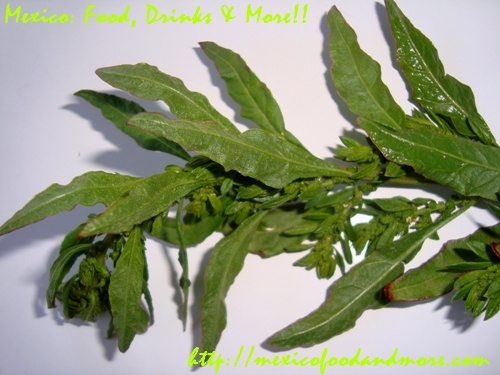 Remove the epazote sprig. 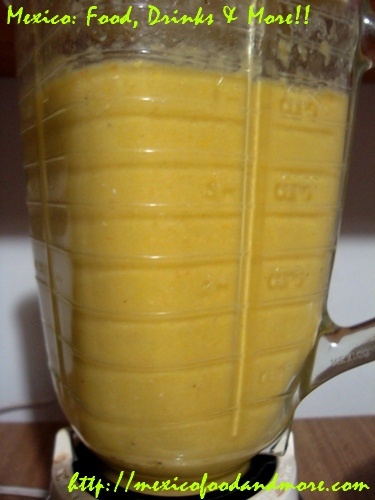 Pour half of the soup into a blender. Blend until the soup is completely smooth. 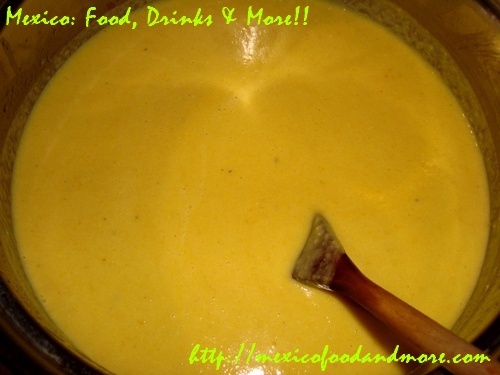 Pour into a medium bowl and repeat the blending steps with the remaining half of the soup. Pour the puréed soup back into the pot and set over medium-low heat. Add the heavy cream and simmer a few minutes. You may add the sautéed flower blossoms to the soup at this point, or garnish the soup individually when serving. 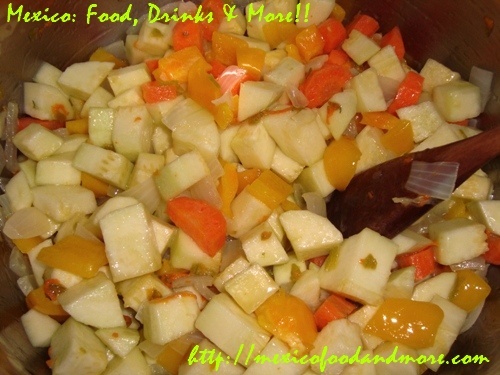 This entry is filed under Chiles, Dinner, Side Dishes, Soups & Stews, Traditional Dishes. You can follow any responses to this entry through the RSS 2.0 feed. You can leave a response, or trackback from your own site.